Senior staff, led by the Chief Executive, advise councillors, who take the key decisions, on possible actions. The council is a large organisation with a total turnover of the order of £170 million. It is responsible for providing or commissioning a significant range of services. Recognised as one of the best district councils in the country, a survey of residents in 2017 found that 78% were satisfied with council and 94% were happy with the borough as a place to live. Officers run the council on a day to day basis and, as head of paid service, the Chief Executive is responsible for the strategic leadership of the organisation, acting as an ambassador for the borough and the organisation, while ensuring the successful and effective delivery of all council services, ensuring that the council’s resources are deployed and managed effectively. The council’s work ranges broadly across the life of the borough and matters referred personally to the Chief Executive by residents may be delegated to specialist staff. Mel is a member of the Royal Institution of Chartered Surveyors and holds a BSc(Hons) in Land Management and an MBA from City University. 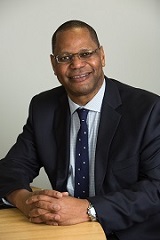 He is experienced in the management of large scale customer facing services, the management of organisational change and transformation, and in the delivery of large scale regeneration and development projects. Prior to joining Basingstoke and Deane Borough Council, Mel has held Executive Director posts at both the London Borough of Hammersmith and Fulham and Oxford City Council, as well as being a previous Director of the London Development Agency. 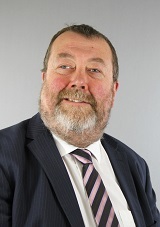 In addition to being part of the council's leadership team, Neil oversees key projects to ensure the borough continues to be a great place to live and work. These include the building of homes and community facilities at Manydown and the regeneration of Basing View business district, as well as the improvement of cultural and leisure facilities and activities. Neil is responsible for the council’s support for strong, safe and healthy communities and young people and families, promoting the borough for inward investment, supporting and attracting businesses to keep the local economy booming, keeping residents and businesses well informed and working with key partner organisations to coordinate services and initiatives for the local area. In addition to being part of the council's leadership team, Rebecca is responsible for proactively developing and successfully managing delivery for a range of council services including housing, planning, community services and customer services. 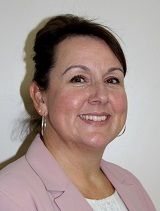 Rebecca, appointed as the Executive Director of Borough Services in February 2016, has a degree in environmental science and geology from Portsmouth University and a background in managing public services including planning, building control, parking, environmental health, licensing, housing and community safety. 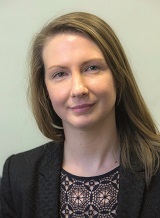 Rebecca was previously Head of Regulatory Services at Three Rivers District Council in Hertfordshire and has also worked for the London Boroughs of Croydon, Hackney and Southwark. This means she is actively involved in all business decisions, ensuring the implications, opportunities and risks are fully considered and alignment with the council’s financial strategy. Sue leads the promotion and delivery by the whole council of good financial management so that public money is safeguarded at all times and used appropriately, economically, efficiently and effectively.